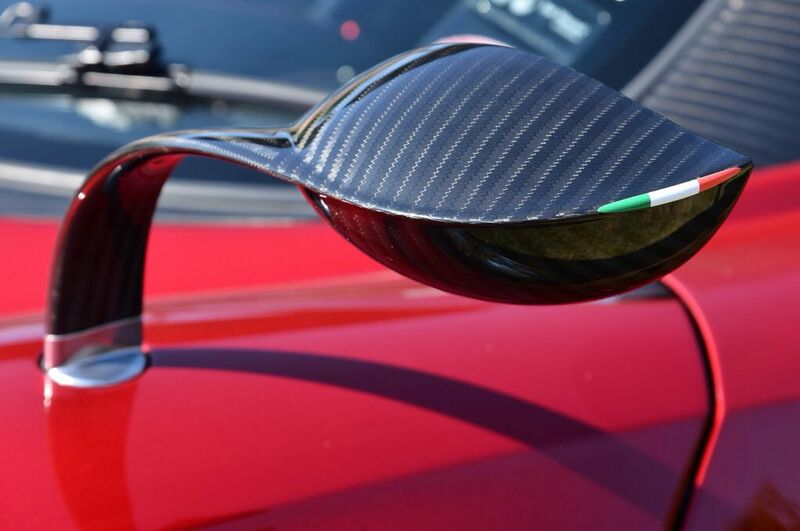 If there was a choice between a custom APR GT3 mirror and the magical racing mirror which would you all select? Ignore the stem and mount. exlondoner, phy6, WillExigeS and 1 others like this. Excuse the background, did a quick install at home, these are pre-paint. Last edited by exlondoner; 02-14-2016 at 12:18 PM. I feel like there has to be an elegant solution to cover that 3rd hole. Good observation Coyne, hence the Version II that's been designed and will be an all in solution, but most likely not going on sale. The above is for Magical Mirror owners and the third hole disappears with our kit, so it's a non issue. Last edited by exlondoner; 02-04-2016 at 05:52 PM. Thanks Driftwood. Already selling globally. Are you selling side mirrors like this? website? There is about a 2-4 week turnaround time now. iirc, you mentioned that you had a mounting base solution that would fit/tie in with these stalks? can you elaborate on that at all? Let me be a little more clear for those interested. The mount is developed for the lower two holes with a carbon fiber built plate to cover the plinth. The plate is approximately 1mm so it all looks factory. Right now the plate is offered in either matte or gloss black. The mount is offered in four options. You want the La Ferrari look - here it is. Last edited by exlondoner; 02-14-2016 at 12:19 PM. Is the length of the mirror the same as stock? The solution is purposely built to the width of the factory mirror and mount. For wide body applications they'll be a slightly longer mount. I like the small and narrow stem but somehow not liking where the stem attaches to the mirror. I realise you are working with existing mirror housings but in my opinion it would be so much better if the stalk would connect at the point of a mirror instead of just below. It may be the pictures but the mirror seems to 'droop' a bit. Looking forward to seeing some better pictures with paint or possibly your 2.0 design. 2006 Elise Magnetic Blue | BOE REV300tvs SC kit with 85mm pulley, ITG airbox, Exedy Sport Clutch, 2bular 8x22 Oval Tip Exhaust, Black Exige Rear Diffuser, Black Forged 7spoke wheels, BOE Uprated Rear Engine Mount, Exige V6 Mirror Plinths, Exige Sport Seats in Alcantara with more to come. I've updated one of the images above, here is a better shot. I'm late to the game. Is this including the mirror or just the stalk? It can be ordered with and without. Any chance the first batch has shipped yet? Shipment started on Wednesday. Hope is to have the first batch completed by next Wednesday and commence builds for the 2nd thereafter.